This box features the likeness of a ferret burned onto the lid and accented by a little paw prints. 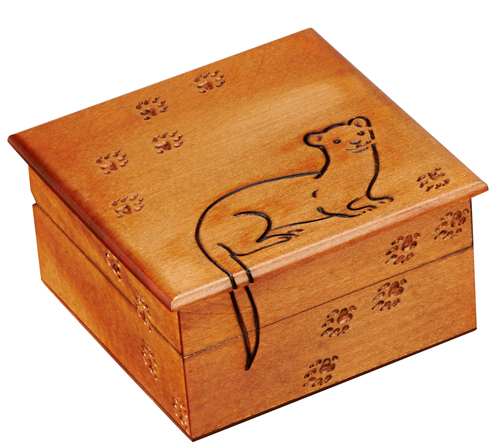 The box is handmade in the Tatra Mountain region of Poland. Dimensions: 4-3/4 in. x 4-3/4 in. x 2-1/8 in.